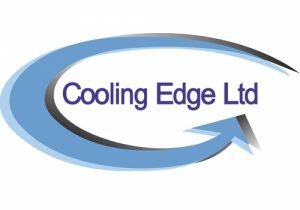 Cooling Edge will exhibit its range of air conditioning service equipment and diagnostic tools, the popular CTR range of R134A and HFO 1234YF machines now branded ‘Denso Thermal Systems’ as well as the OE approved Waeco service stations. The CTR Kheos Plus and Astra air conditioning service stations has proven over recent years to be the ideal solution for many garages and vehicle body shops due to the simplicity, reliability and low running costs. Cooling Edge will also exhibit the Waeco ASC range of R134A and HFO1234YF service stations. The ASC 2500 G and ASC5500 G low emission machines feature their patented oil discharge system where almost 100% of the refrigerant is recovered from the vehicle air conditioning system giving a major cost saving on refrigerants. These high specification machines from CTR and Waeco come standard with fully automatic functionality, vehicle database and a thermal printer. Starter packs and diagnostic kits are available for our machines and a free F gas licence at time of delivery. Additional F gas Licenses can be conducted if required.